Long distance journeys hold a special fascination for adventurous motorcyclists. Numerous riders have crossed continents or circumnavigated the globe. Some are famous, but many have accomplished their journeys with little publicity. Names like Ted Simon (solo around the world on a Triumph in the 1970s, immortalised in the classic Jupiter’s Travels) and Nick Sanders (at various times the record holder for circumnavigating the world on bicycle and motorcycle) are synonymous with long distance motorcycle adventure. Numerous women have engaged in such two-wheeled adventures, among them Elspeth Beard (the first British woman to motorcycle round the world, a feat she accomplished between 1982 and 1984 on a BMW) and Steph Jeavons (who completed a four year circumnavigation in 2018, having visited all seven continents on a 250cc Honda). 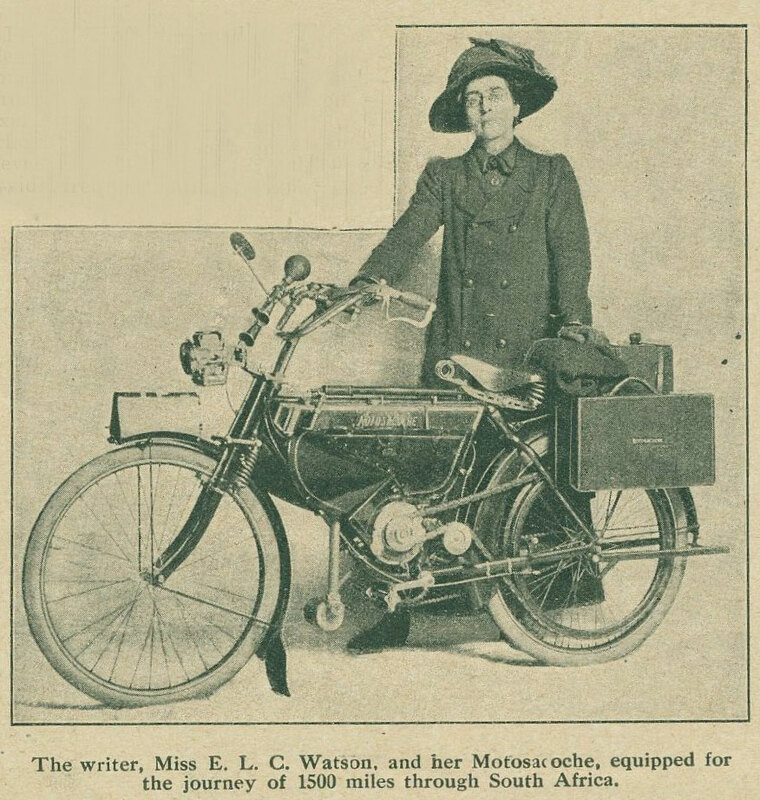 These modern day riders were not the first women to pursue long distance motorcycle adventures. The National Motor Museum’s extensive reference library holds a wealth of motorcycling content. 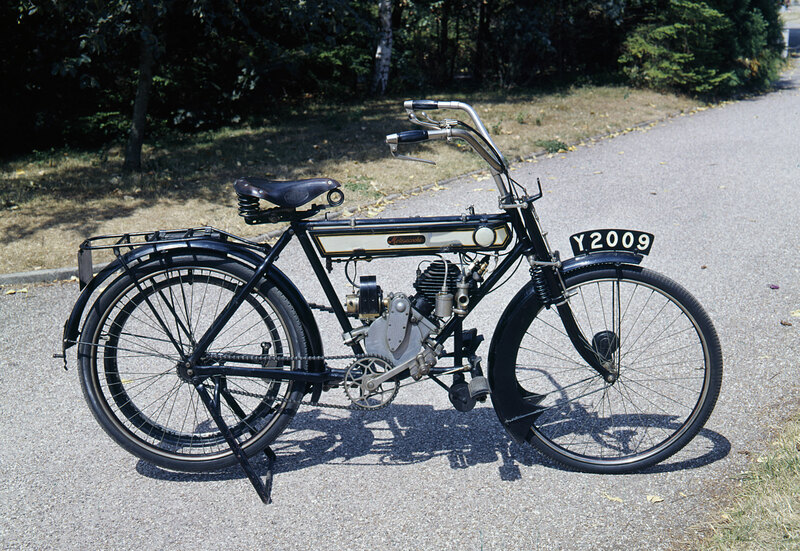 A glance through the pages of Motorcycling magazine from 1912 reveals a series of articles written by Miss ELC Watson who undertook a 1,500 mile journey across South Africa riding a 2.5hp, 290cc Motosacoche (a 1913 example of which may be found in the Museum’s motorcycle gallery). Miss Watson’s journey began in Cape Town in mid February and followed a route through Kimberley, Johannesburg, Pretoria, Ladysmith and Pietermarizburg to Durban, the first report appearing ten days after her departure. Her equipment for the journey is listed as a ‘small suitcase, two tins of petrol, a spare tyre, engine parts and an overcoat’. Apparently, after ‘much persuasion from friends’, Miss Watson also carried a revolver for her protection. The only provisions carried were ‘tea and sugar, and utensils for making tea’. A somewhat more sophisticated machine, a 350cc Model EW Douglas, was the choice of Miss Gwendolyn Adams for her 3,000 mile journey across Europe in September 1926. Starting from Ellesmere in Shropshire, she travelled to Southampton via the Douglas factory at Kingswood, Bristol. This was, apparently, the first knowledge that the manufacturer had of Miss Adams’ intentions, but they none the less immediately drew up a list of Douglas agents across Europe who might be able to assist her in times of difficulty. 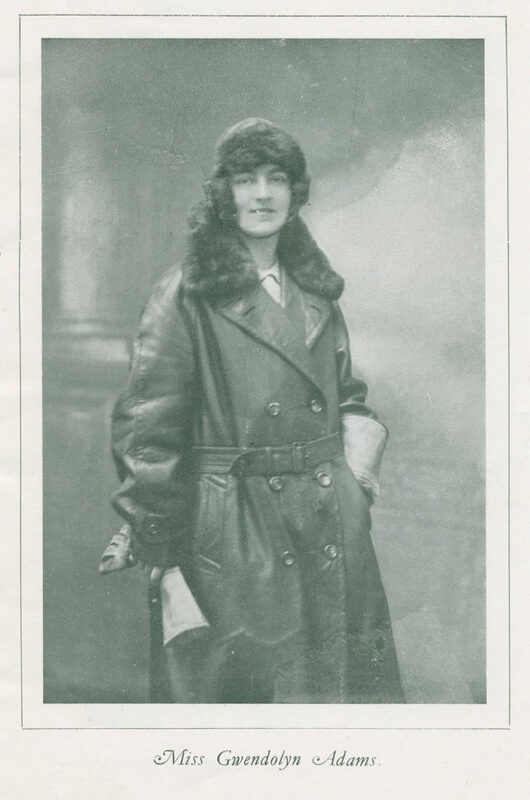 Clearly the company was so impressed with the adventure that, upon her return, they published her account in a booklet entitled ‘To Venice and back – a journal of a motorcycliste’. Miss Adams’ journey took her through Milan and on to Venice. She spent just two days taking in the sights before heading back to Milan and then north through Switzerland via the Simplon Pass and Geneva. Her return to England was via Paris and Dieppe. At the end of her adventure Miss Adams reported “My only trouble throughout the entire trip was two punctures, and I am sure that in the future I shall have no qualms about undertaking a similar journey on the same machine”. With such an endorsement of their products it’s perhaps not so surprising that Douglas were so keen to publish the account of her journey.